HomeBlogOpen Access PowerWhat Is Open Access in Power Sector? Open Access enables heavy users with more than 1 MW connected load to buy cheap power from the open market. The concept is to allow the customers to choose from a number of competitive power companies, rather than being forced to buy power from the local utility monopoly. It not only helps the industrial & commercial consumers by ensuring regular electricity supply at competitive rates but also enhances the business of power markets. Open access helps consumers meet their Renewable Purchase Obligations (RPOs) as well. 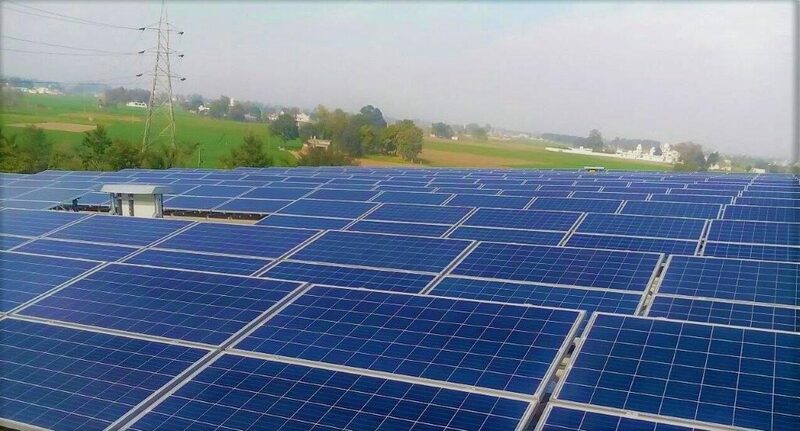 A consumer with bulk load can avail the benefits of cheap and green solar power by either purchasing through the rooftop solar installation in its premises or buying from an offsite solar farm under open access. While open access does away with limitations of rooftop solar such as scalability and high capital expenditure, it is often exposed to unpredictable grid risks. Open Access will ease the power shortage since a number of power producers like Solar energy companies can now transmit power from their solar parks to different load centers. Once the consumers are given the choice to purchase power from the open market, it will automatically lead to competitive pricing of electricity making electricity cost go down. Inter-State Open Access: In this, the purchasing and selling entities belong to different states and they have to follow Central Electricity Regulatory Commission (CERC) regulations. The purchase rights under inter-state open access can be for Short Term i.e. for less than a month period, Medium Term i.e. for 3 months to 3 years period and Long Term i.e. for twelve to twenty-five years period. Intra-State Open Access: As evident from the name, the purchasing and selling entities, in this case, belong to the same state. It follows State Electricity Regulatory Commission (SERC) regulations. It can also be classified as Short Term, Medium Term and Long Term where the durations of these terms vary based on the regulations of respective states. The buyer and seller of electricity can opt for either collective or bilateral transactions. In collective transaction, the trading of electricity is facilitated through exchanges with a very small margin fixed towards exchange members. In case of a bilateral transaction, a Power Purchase Agreement is signed between the seller and the consumer for buying power at mutually agreed tariff for a predetermined number of years. Many of the leading solar players under the OPEX model in India are resorting to bilateral agreements for tariff determination with commercial and industrial clients. As discussed earlier, operators under open access have to incur various charges for using the grid. These charges can vary from state to state and are lesser in states with stable grid and favorable regulatory regime. In case of solar power, the state-wise open access charges can vary from as low as INR 0.2/KWh in Andhra Pradesh to >INR 1.5/KWh in Uttarakhand. Most of the open access solar projects in India are currently in Madhya Pradesh, Andhra Pradesh, Karnataka, and Chhattisgarh. Going forward, a supportive regulatory regime from the state electricity authorities combined with better grid stability can make long-term open access projects viable. These changes will facilitate more projects from the renewable energy companies who are taking huge upfront risks at present and will definitely upgrade the state of power trading in the country.